While fitness fanatics may look as shoveling snow as just another workout, it does pose health risks for others. Many people associate back problems and sore muscles with shoveling the driveway and sidewalk, but there are other risks as well. 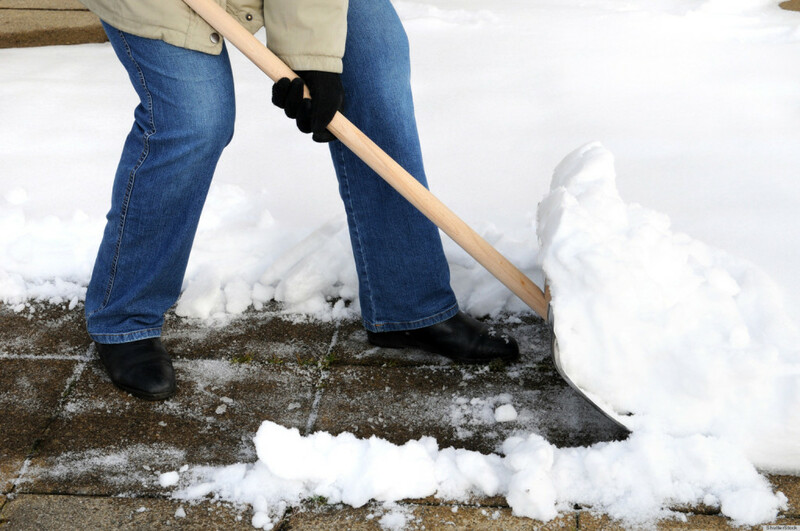 Shoveling snow is often associated with elevated heart attack rates during the winter months. When it snows this winter, follow these safety tips to maintain your health and avoid injury. Stretch your muscles before you begin shoveling. Avoid shoveling soon after you wake up. Slipped disc injuries are more likely to occur in the morning due to the build-up of fluid disc from lying down all night. Drink a lot of water before you begin and stay hydrated while you work. Wear boots with a good rubber sole to prevent slipping and falling. Dress in layers and shed layers of clothing to prevent overheating. Spray or rub your shovel with lubricant such as WD40 or cooking spray to help prevent snow from sticking to the shovel. The lighter the load, the better for your body. If you become tired and fatigued, put the shovel down and rest. Try again later.